Meet Tor.com's Newest Contributor: ME! 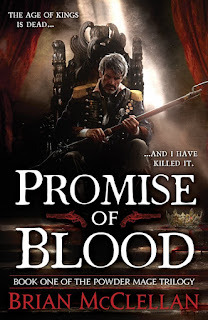 One of the debuts I've most been looking forward to this year is Brian McClellan's Promise of Blood. It is a meaty looking Fantasy with a society that is working its way towards the mechanical age. You see guns are worked in, but there is still magic in the world. And Gods walk the Earth. 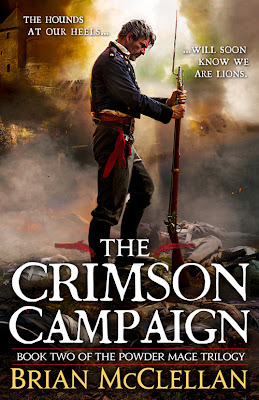 This falls firmly in the up-and-coming sub-genre Flintlock Fantasy, which has been starting to come out in the fiction of Abercrombie, Weeks, and Chris Evans, but this appears to be the first to go for it full throttle. 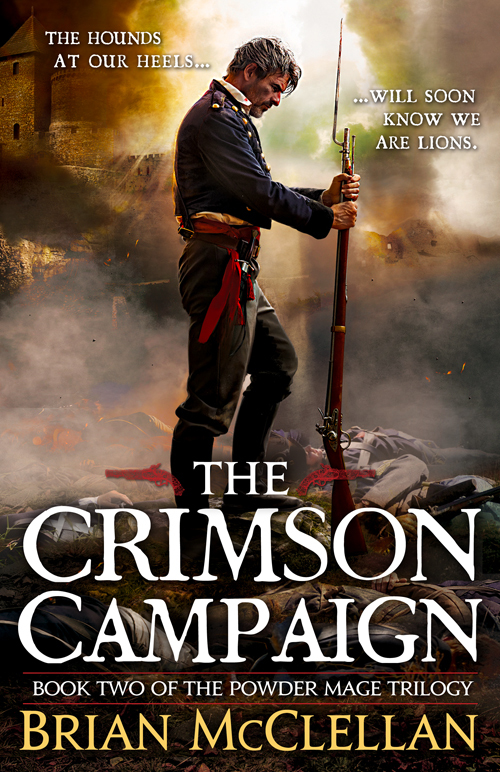 Promise of Blood isn't even out until April, but we've already got a chance to see the cover for the sequel The Crimson Campaign, which won't be out until February next year. I'm not always into photo realistic images, but these covers more than work for me. They evoke a beautifully textured and detailed world that knows the dirty side to warfare. Bravo to Orbit for the attention to detail. 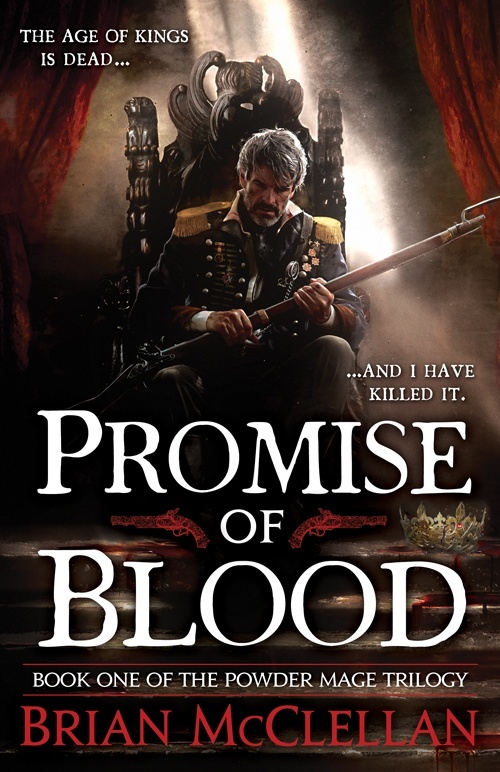 Here's the blurb for Promise of Blood since we don't want to ruin things for the sequel this early. Now do we? No, I thought not. Field Marshal Tamas' coup against his king sent corrupt aristocrats to the guillotine and brought bread to the starving. But it also provoked war with the Nine Nations, internal attacks by royalist fanatics, and the greedy to scramble for money and power by Tamas's supposed allies: the Church, workers unions, and mercenary forces. Stretched to his limit, Tamas is relying heavily on his few remaining powder mages, including the embittered Taniel, a brilliant marksman who also happens to be his estranged son, and Adamat, a retired police inspector whose loyalty is being tested by blackmail.